There are two types of women in this world—those who squeal with delight at the site of macarons and those who simply don’t. While I started off in the former camp due to the novelty of it all, I’ve moved on to the latter after coming to the conclusion that macarons are overpriced sandwich cookies. 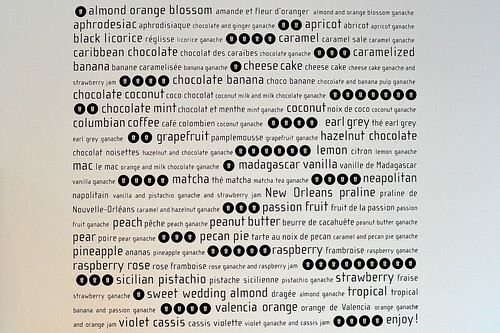 Still, when my friend Laurie asked if I wanted to scope out the newest branch of ‘Lette Macarons in Old Pasadena, I was totally game. Sometimes, reason doesn’t stand a chance against curiosity. 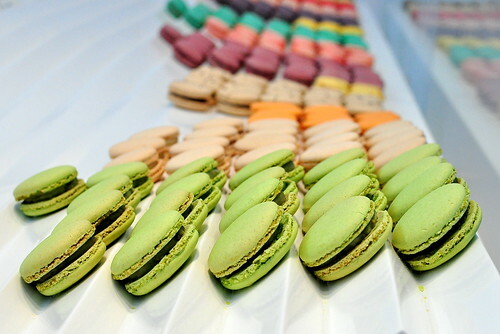 ‘Lette Macarons is a joint collaboration between Paulette Koumetz, a macaron enthusiast, and Christophe Michalak, a French pastry chef. 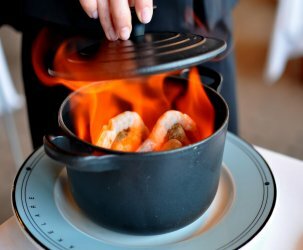 They opened their first shop in Beverly Hills in 2007 and added another outlet in Pasadena this past July. 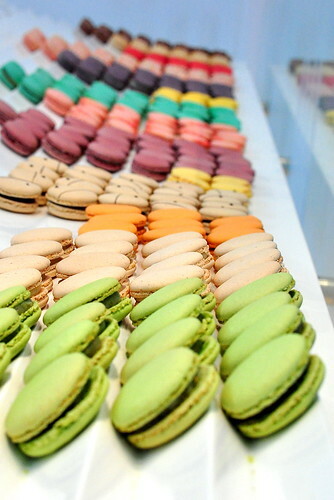 All of ‘Lette’s macarons are hand-made daily in the Beverly Hills bakery. There are twelve classic flavors and a few seasonal specialties available everyday. I bit the rational bullet and purchased a box of six macarons ($10.50). From the classic flavors available, I chose the salted caramel, coconut, lemon, Madagascar vanilla, and violet cassis. I selected passion fruit from the seasonal specialties. The texture of the macarons varied greatly from one to the next. Some were perfectly light and delicate, while others were crumbly and chewy. I suggest asking for the freshest ones to avoid playing the macaron lottery. In regards to flavor, both Laurie and I adored the passion fruit one. Its tart and bright curd filling was sandwiched by the daintiest cookie. The salted caramel macaron was my least favorite due to its general lack of saltiness. The other four macs were perfectly nice, but none particularly titillating to my taste buds. If macarons do for you what doughnuts do for me, then ‘Lette is definitely worth checking out. Otherwise, save your pennies for a rainy day. was it salted caramel or just caramel? i don’t remember ‘lette having salted. I like the lychee and tea flavored macarons, myself, but usually steer clear because of the price tag. Eug – Yep, “salted caramel” (or “caramel salé” if you’re French). It supposedly had caramel ganache and fleur de sel. The first time I had a real macaron my whole world changed…..in a good way. Hi there, I really love your blog! 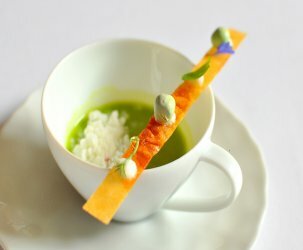 I have friends visiting from overseas, which is your fave restaurant in Los Angeles that I can bring them to? Thanks in advance! Rachel – I guess it depends where your friends are coming from. 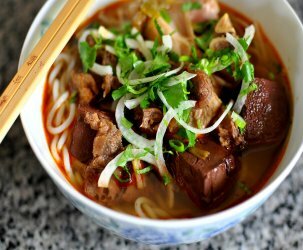 If they’re coming from Thailand, Korea, or China, you should probably feed them good ‘ol American food at say Apple Pan or Pie N Burger. Or a fancier meal at Animal, Mozza, or Providence. If they’re coming from Europe, take them to Pa Ord, KyoChon, and Mama’s Lu. Have fun! i haven’t met a really “bring me to my knees” macaron either. i always wanted to try the beverly hills location, glad to know i don’t have to drive my clunker there anymore. hmm…so i need to pop in i think and check it out. i’m curious…. The folks over at Lush were nice enough to point me to Lette when I told them that I had a sweet tooth. So good! Especially for southern CA. It’s so hard to find a decent macaroon down here. I think the chocolate or salted caramel were my favorite. LAOTR – Yep! This is another outlet of Paulette in Beverly Hills. They changed their name to ‘Lette a few months ago due to some sort of legal dispute. I just passed by it the other day. It replaced the Mrs. Beasley’s store on Fair Oaks. I didn’t get a chance to try the macarons but I have tried Bottega Louie’s, which are just okay. I think the best was at Ramsey’s @The London in West Hollywood. Thanks for sharing! I hate that they changed their name to ‘lette. i believe they just opened one down the street from me on larchmont! 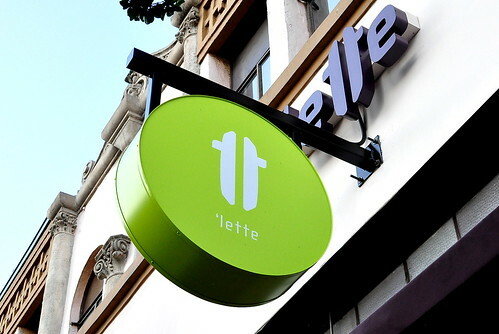 @justJENN I too hate that they changed their name to ‘lette. Barf town. I especially love these macaroons in raspberry and I think people love them because they’re just so vibrant and fun. I’d love to get a big box of these as a gift as I’m sure you’d love a big box of doughnuts. I just started liking macarons (they’re soft! ), and I ate one from that famous place in France recently and I had no idea what was going on except that it tasted like roses. I wouldn’t be mad if someone brought me a ‘Lette.